It an intense love story set in Punjab. There will be a love triangle. - Bhoole Se Naam Na Lo Pyaar Ka having been shelved, it will be Ayushman and Bhumi's second film together after Dum Laga Ke Haisha. - Bhumi lost 15kg since her first movie. Dangal girl Sanya Malhotra to act in Anurag Kashyap's Manmarziyan? The Dangal actress is being considered for Anand L. Rai’s upcoming project. The film has had quite a few change of hands since the time it was announced. 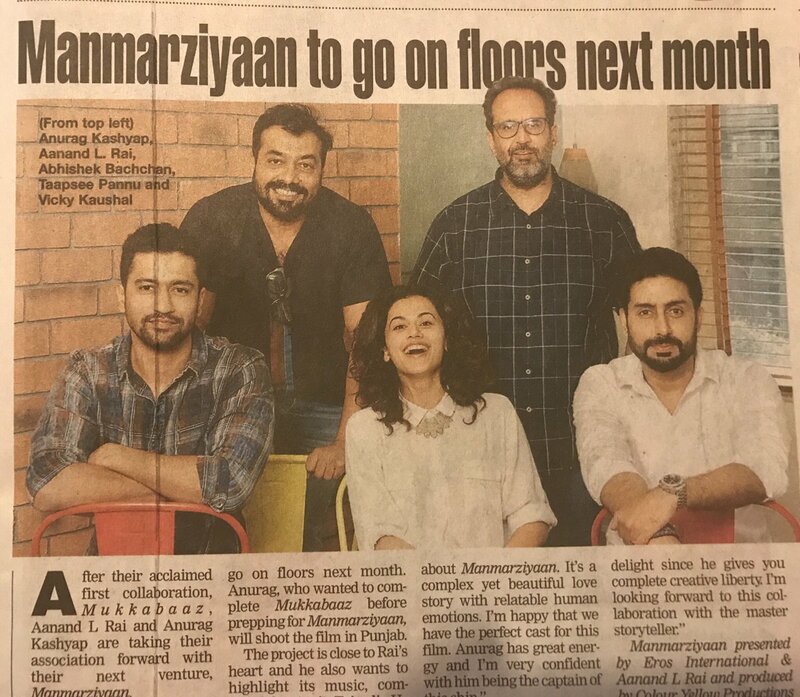 In 2016 it was reported that Ayushmann Khurrana and Bhumi Pednekar would come together for Manmarziyan. Luv Shuv Tey Chicken Khurrana director, Sameer Sharma was to helm the project then, but it was later announced that Ashwiny Iyer Tiwari had come on board. As things stand today, Anurag Kashyap will direct the film. It remains to be seen if the plan remains intact till the time Sanya comes on board. Producer Anand L. Rai remained unavailable for comment.